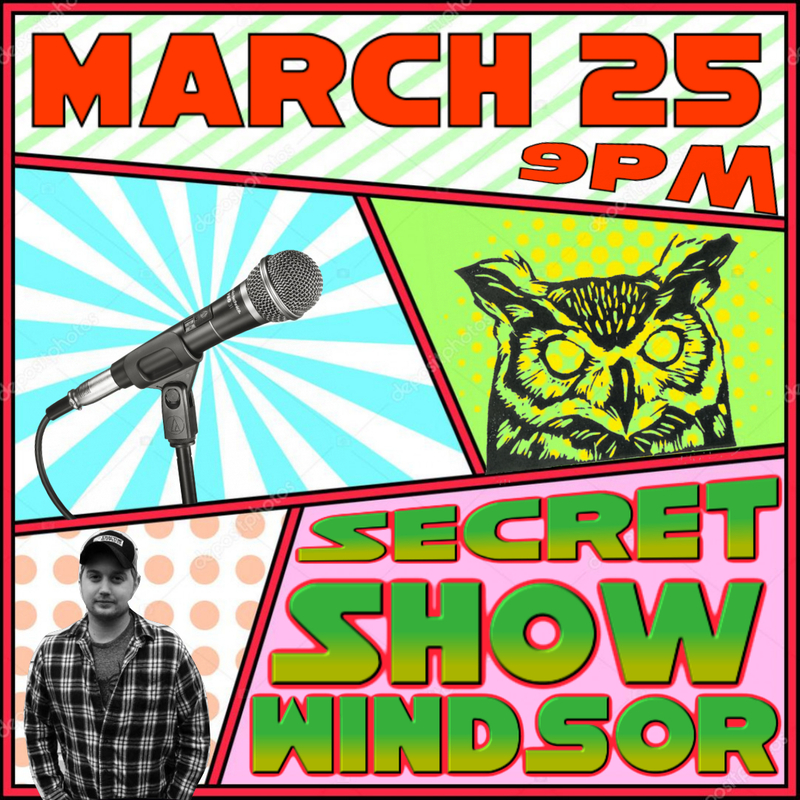 The Secret show is a Stand-up Comedy show in an undisclosed speak easy bar known as the “Bind Owl”. The show features The funniest comedians from Michigan, Ohio, Toronto and, of course Windsor. The Comedy is paired with one of a kind, carefully crafted cocktails, with light jazz in the background. The show is produced to fund our travel across Ontario and the American Midwest. We also now have Tap for donations! We are Very happy to announce March’s headliner Justin Divozzo!